Hello everybody! 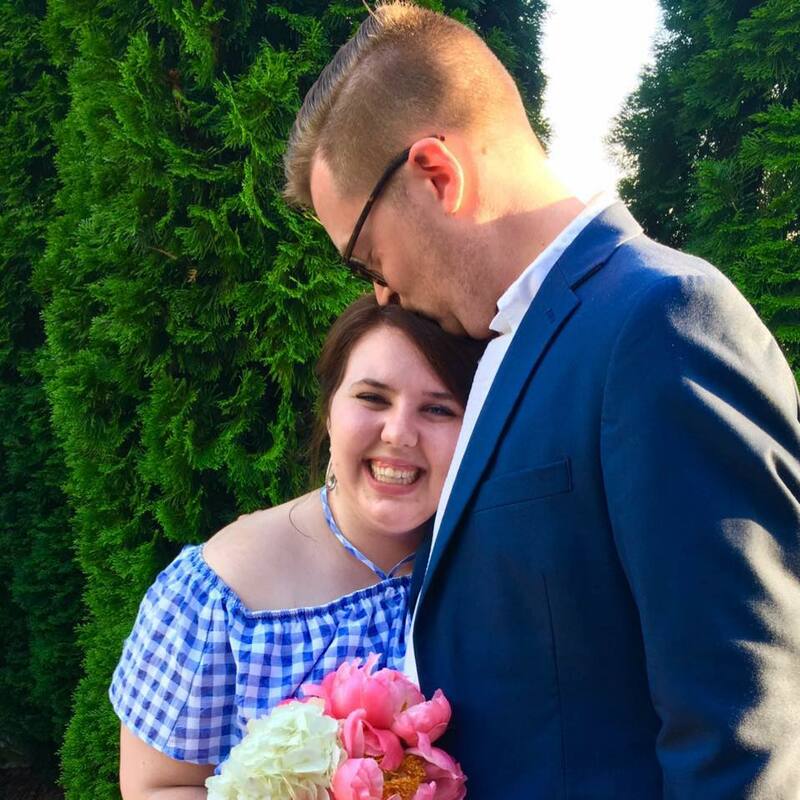 It's been a long time since I've been on the blog! My last day of work was last Monday and I've been readjusting all week! 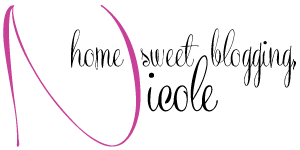 I am glad to be back to writing my blog posts! A handwritten letter is something so special now a days. For me, stationary is one of the things I collect and love to shop for. In my office, I have two boxes dedicated to Formal and Fun stationary sets! There are so many cute things out there and I find it hard to say no sometimes! I get a lot of comments on my stationary, so I figured I'd share where I shop for it and all my favorite pieces! 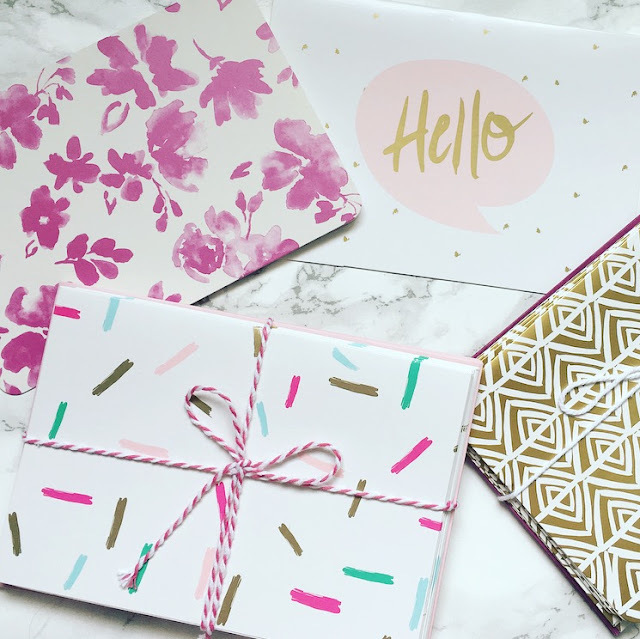 Target Dollar Spot is one of the best places to find fun stationary for super cheap! You can normally get 8 cards and envelopes for $1! That's really hard to beat! Everyone knows Target changes their dollar section often, so take a look frequently and see what you can find! Swoozie's is my go-to for formal stationary. 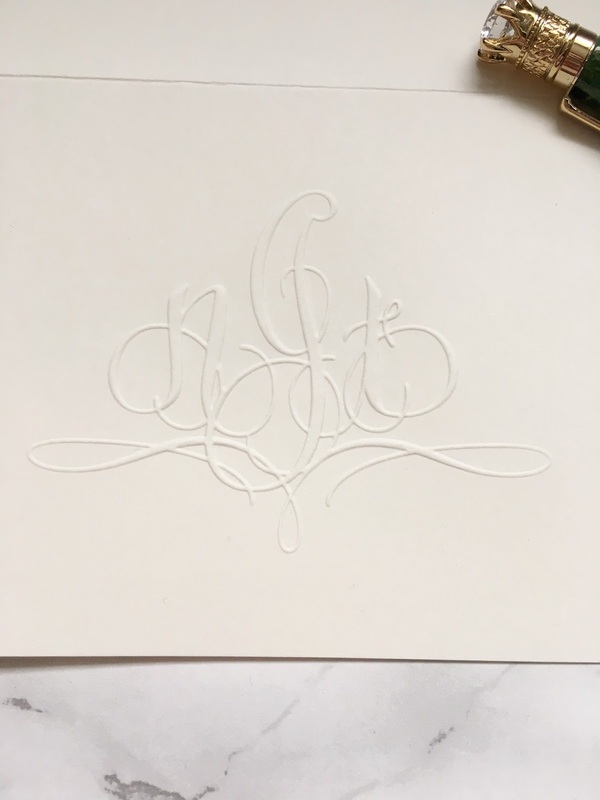 When I was getting married, I bought fancy stationary for allllllll the thank you's I had to write! I wanted to keep the formal vibe going in my stationary and Swoozie's had books on books of options! I opted for the monogram one, because obvi I love monogram anything! This store is the absolute best and I really love going in there anytime I'm home in Dallas! 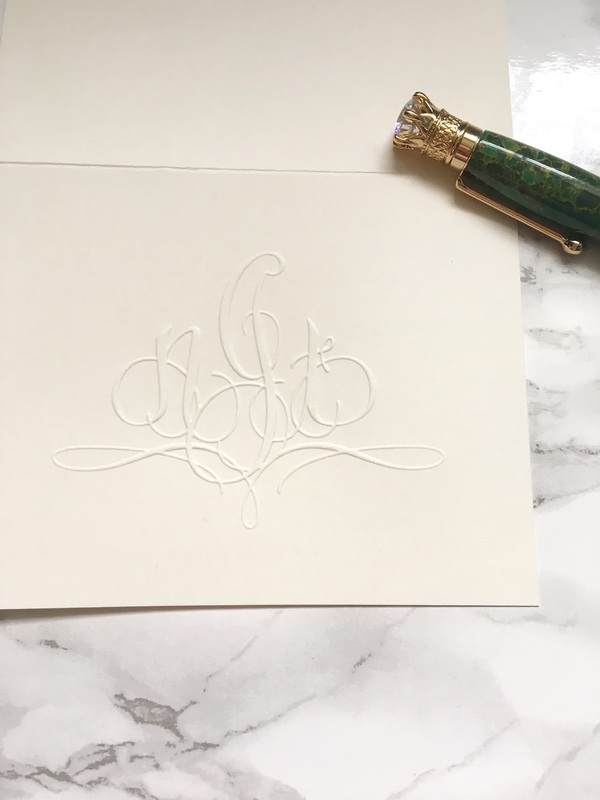 For my specific stationary set, I chose the Firenze Monogram Embossed Folded Note Cards in Ivory. They are stunning and so worth it! Target and Swoozie's are my two main places I look for stationary, but there are a handful of other shops I spy good stationary at. You can always take a look at Home Goods, Michael's dollar section, or any other paper store! I have found some perfectly perfect sets at these places! Don't forget to get adorable stationary accessories! I love address labels that are either a sticker or a stamp! The stamps are so handy and make letter addressing way easier! The best place to get the custom stamps is at Paper Source. The stamps are customizable and always turn out very lovely. I love to look at the sticker kind at Shutterfly. They have a plethora of options and ship ridiculously fast! Plus, they are super customizable and that's always amazing! 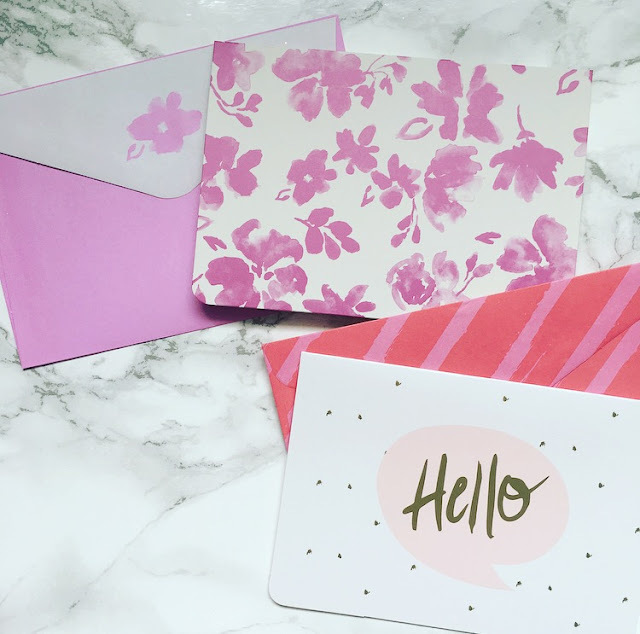 Do you love writing letters on pretty stationary?? Stationary is always so fun! 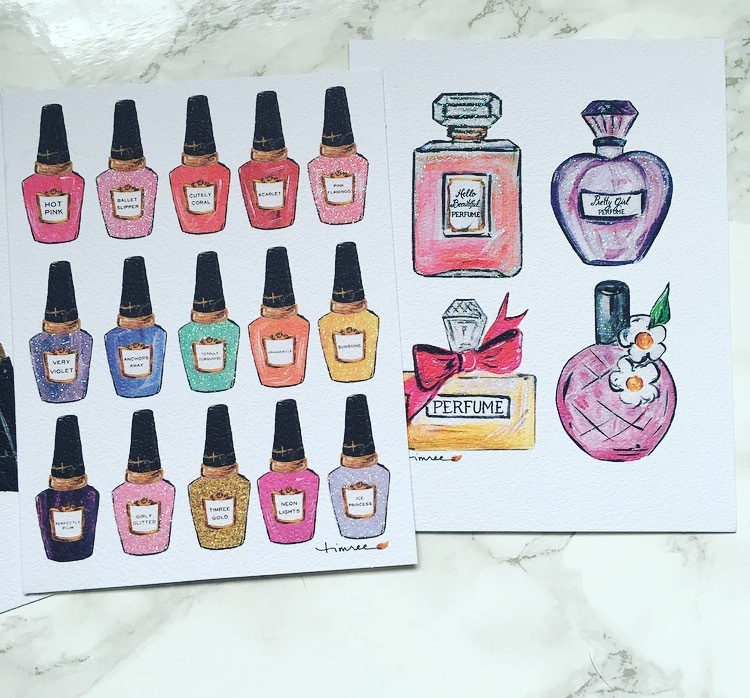 I've recently been on the search for new business cards and cute envelops! Your post has definitely brought me inspiration! I adore stationary as well, something about sending and receiving handwritten cards is so special. I love to shop at this cute stationary shop near my house...I can't go in without spending like $100!!! Target dollar spot is my favorite!! 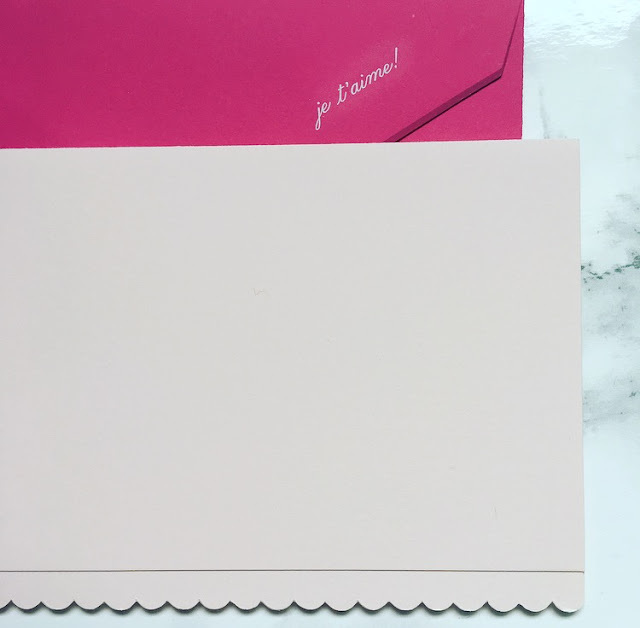 I have been wanting to snag some of their note cards but never really had an occasion where I need to send a hand written letter. Your collection is so cute though! What a collection!!! These are so adorable. I love the ones that have the sketches. I love fun stationary! Also I'm OBSESSED with that nail polish one you have!! It's so cute! 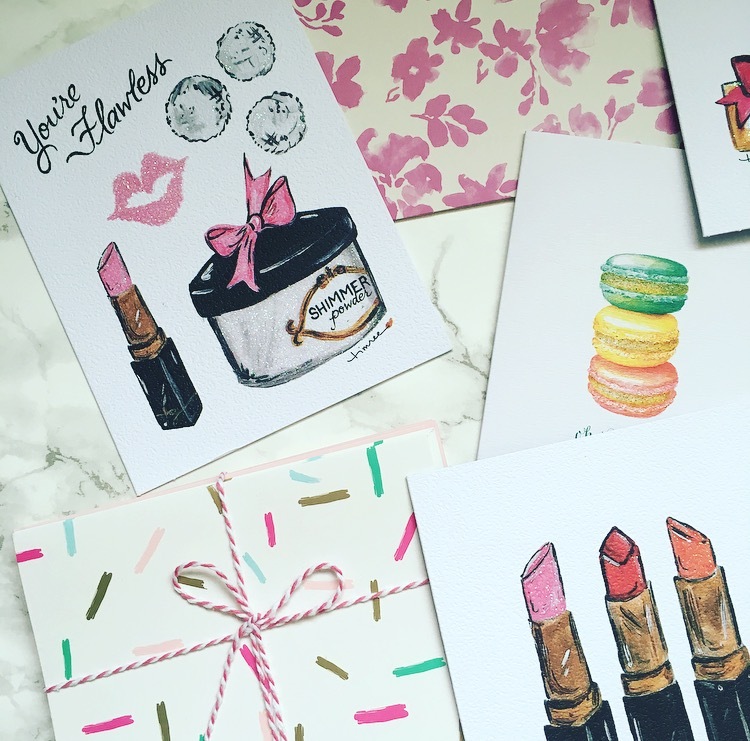 Love that beauty related stationary! Too cute! This is the CUTEST stationary! 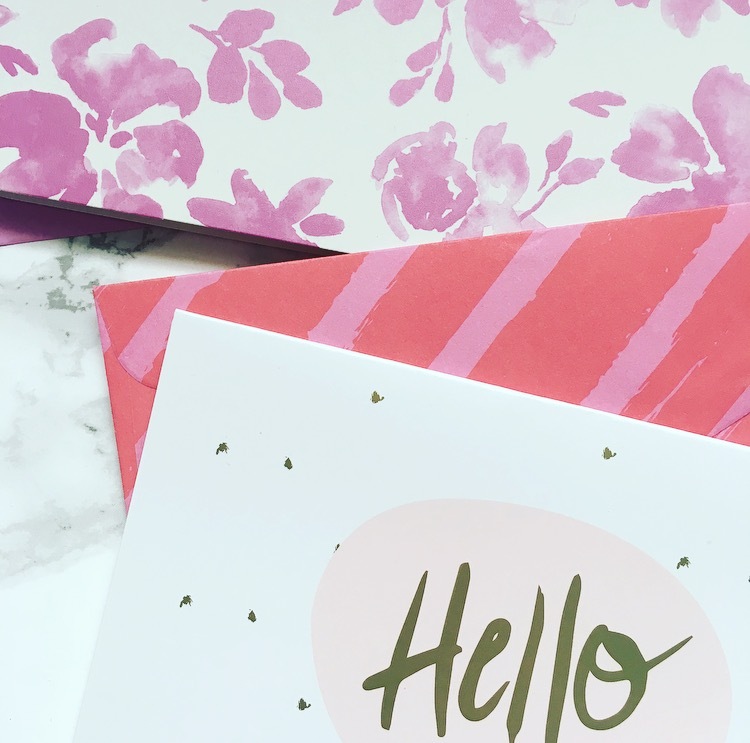 You have me wanting to pull out my stationary and write a sweet handwritten note! I have those SAME file folders! The rest is adorable I love it! 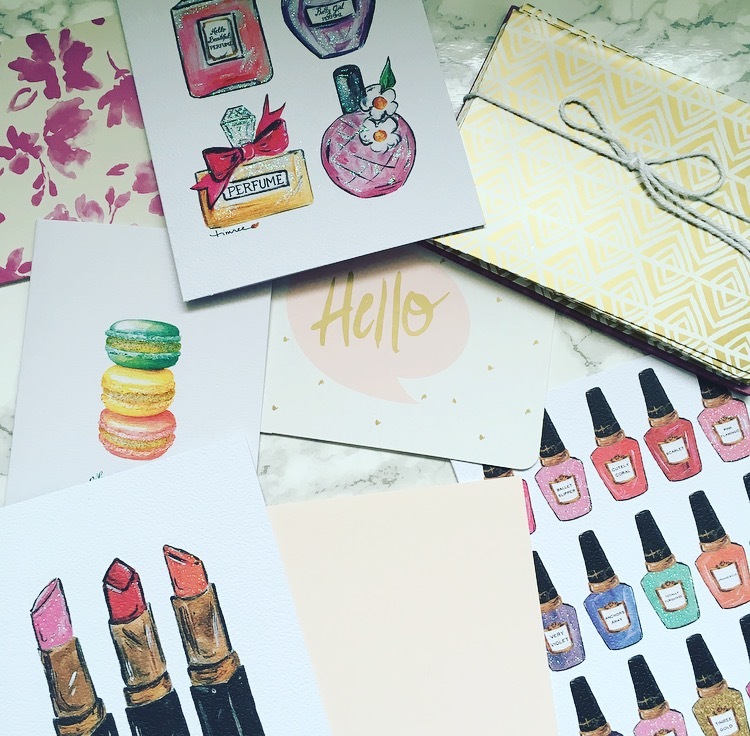 Your stationary is so cute! I love the macarons! Oh my gosh those are all SO cute! I love fun stationary for sending letters or even as art! I need to check out Swoozies! 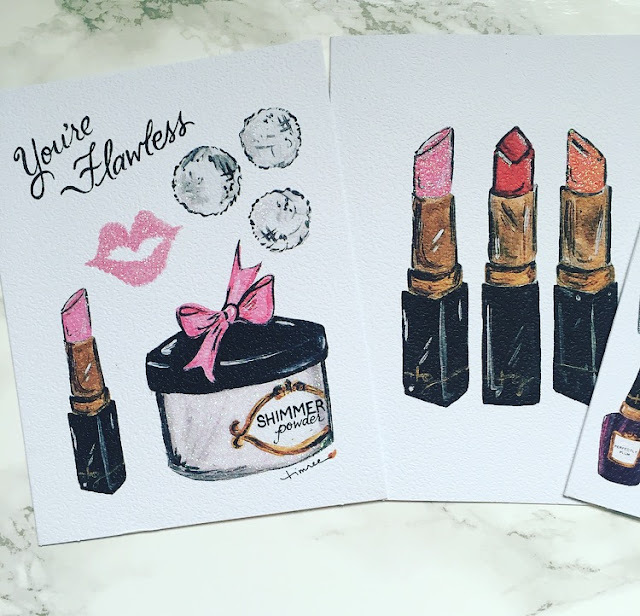 I've been buying from Swoozie's for years! Love them! Really cute! We both have some similar stationary--love all those deal sections at the stores! You have such a great collection of stationary. I need to be better about sending thank you notes. This stationary is all so cute! 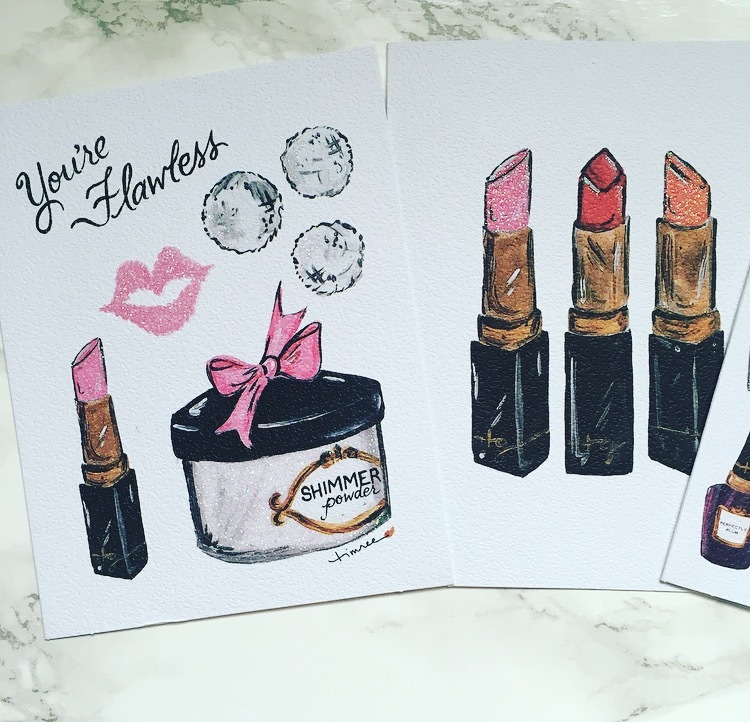 I'm in love, especially the lipstick and macaroons! 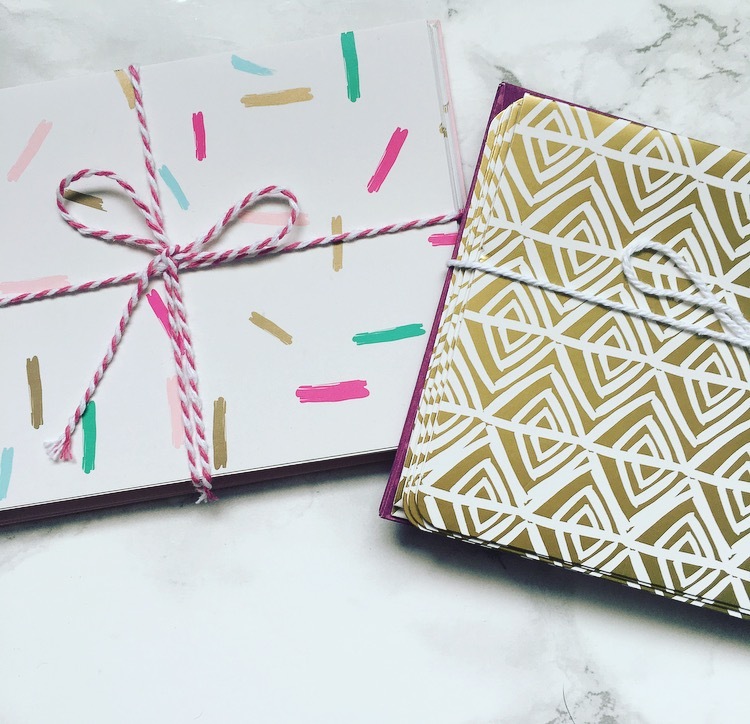 This post just seriously fueled my stationary addiction! The monogrammed set is my absolutely favorite! 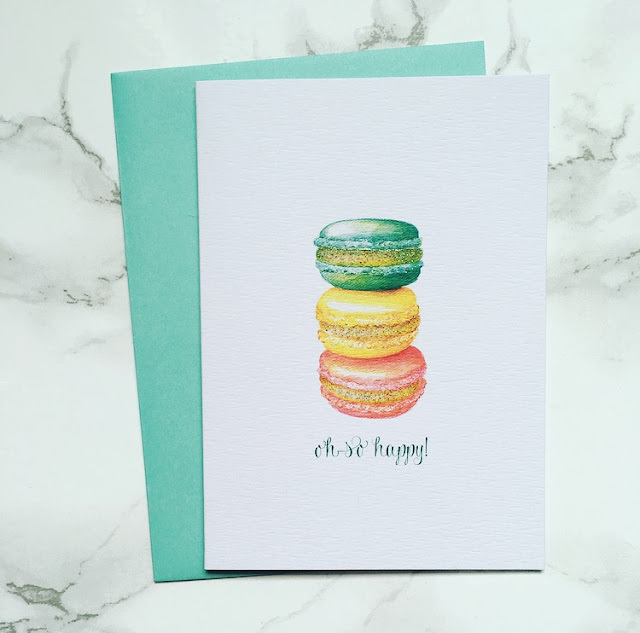 I love love love the macaroon stationary! All so beautiful! This is just so adorable, the lipsticks were my favorite!